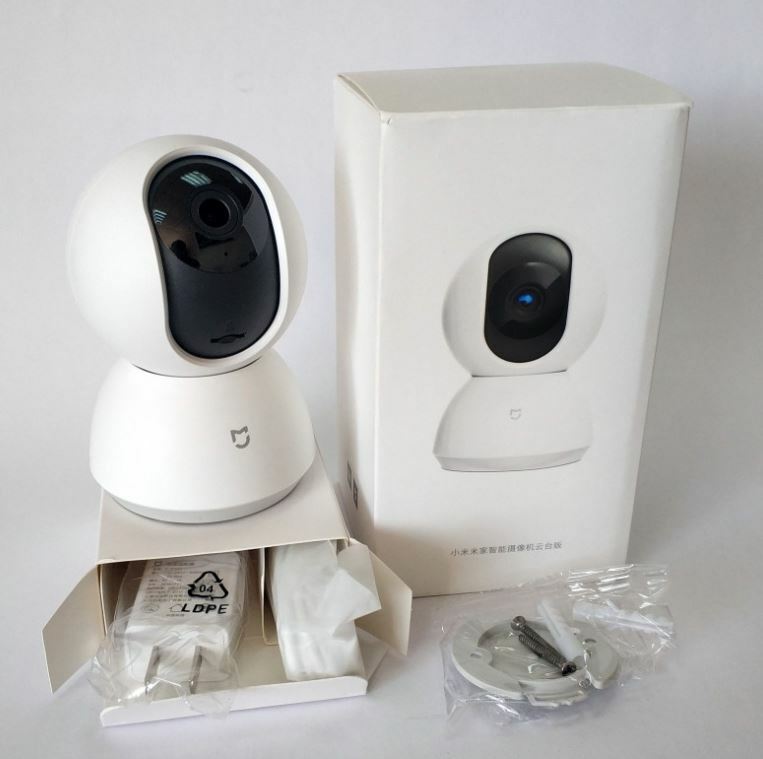 Today I’d like to review an updated version of the Xiaomi PTZ camera – MiJia 1080P (MJSXJ02CM). An updated version of the camera can shoot quality videos with a resolution of 1080p and in general the model turned out to be quite successful. Xiaomi Developers improved the user interface and expanded the possibilities of camera use. The MiJia 1080P case is made of high-quality white plastic.There is a MJ (MiJia) logo on the front side of the lower part of the model. The Reset button and power connector are at the backside of the device. On the front side of the upper part there is a lens that can rotate to a 360 degree in horizontal and to 115 degree in vertical directions. The diode indicator of the camera mode is above the lens. The orange indicator is lit permanently meaning the power connection. Slow Flashing Orange: Software Update. If you lift the lens as much as possible upwards, the microSD card slot will be available. At horizontal lens layout, the microSD slot is not visible. 10 IR LED night illumination is located around the lens. The diodes work with the range of 940 nm, which is invisible to the human eye. You can see the backlight operation with the help of a cell phone camera. There are rubber feet and grooves for connection with the mounting plate on the bottom. Inside the bottom there is a sticker with the ID number of the camera and a QR code for pairing. The sticker slightly differs in the previous camera version. The noise from the engines, when turning, is minimal and hardly audible.The MiJia 1080P camera, as the previous model, does not contain the presets with fixing certain angles in. 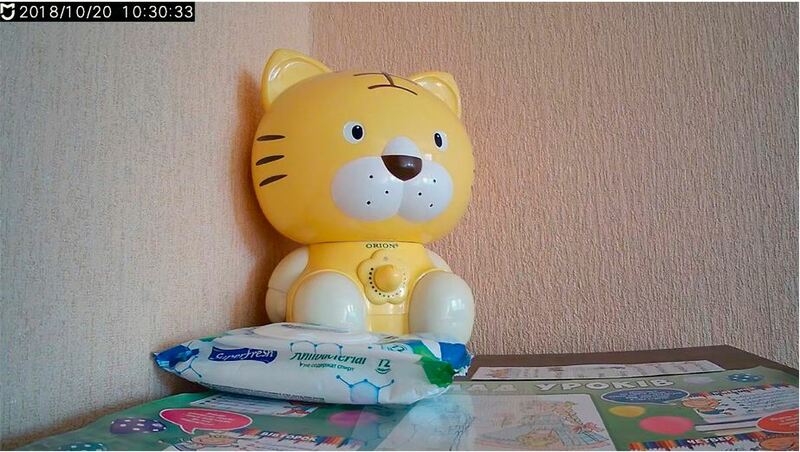 The MiJia 1080P camera, like most Xiaomi products, works with the MiHome mobile app.In the MiHome application, there are software plug-ins for each individual devices. After the power supply is turned on, the MiJia 1080P will carry out the calibration and indicate that the device is prepared for the connection.The mode indicator will flash orange. 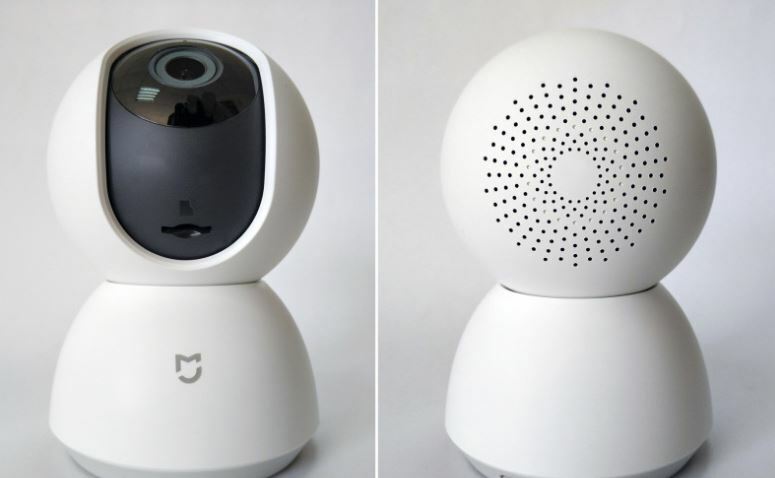 MiHome will automatically detect the camera and offer you to connect. When connected, you must specify a password to the selected WiFi network in MiHome. The application will display a screen with a QR code that needs to be shown in the camera lens. Some time later the camera will connect to MiHome. Next we will see a screen on which you can change the name, location of the camera and place an icon on the smartphone desktop. After the successful pairing, the camera found a new software version and offered to upgrade. The update passed without any problems. The camera control is simple and clear. At the top of the screen there is a window with Live picture. Below there are some function buttons: “sound-off /on ”, “take a snapshot”, “perform video recording”, switch the quality of the Live image, “expand image in full screen”. Under the buttons there is a module of the camera rotation control. When you rotate the camera, the icon with the angle of the camera rotation is displayed. To the right there is an Timeline button that helps to scroll the footage. In the Timeline, the color indicates the activity in the frame, you can scroll the footage back and view the recording in required time. The records are stored for 7 days on Xiaomi servers, on microSD card or in the network storage. – “ two-way voice communication” – an intercom between the smartphone and the camera. – “Additional functions Button ” – opens the block of the additional functions such as: “ sleep mode”, “camera calibration”, “minimizing the Live window”. – remove / reload the camera. In the “Configure storage” section, you can select the desired recording mode (always during the motion detection). In the same menu there are settings for managing a microSD card and NAS. 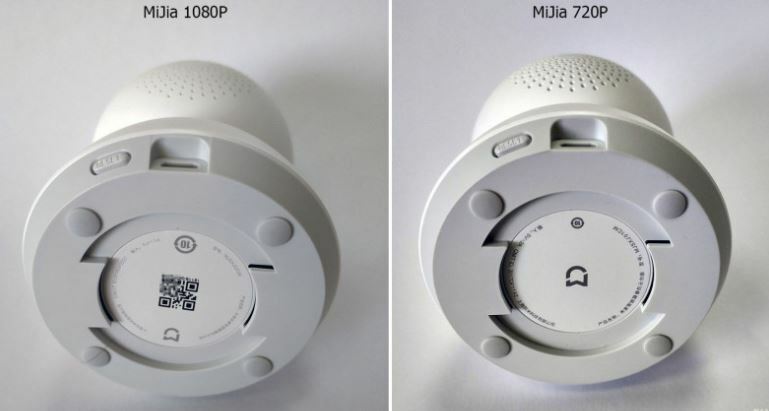 Xiaomi Mijia 360 ° 1080R records one minute videos. 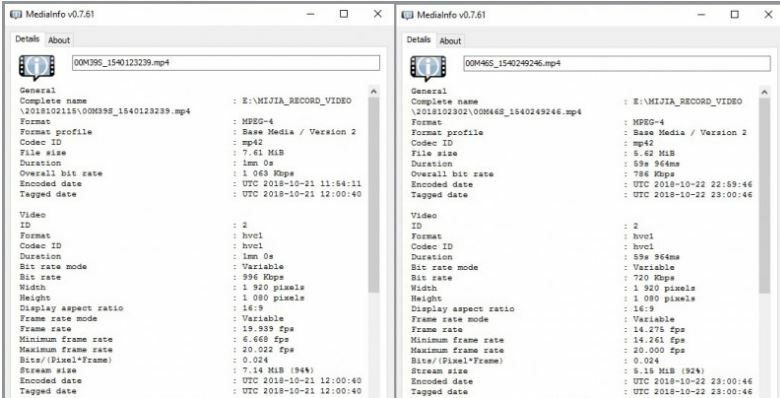 Like in the previous camera version, the recordings can be stored on the microSD card, Xiaomi servers (storage period is 7 days) and in the network storage / NAS. The copying to the network storage occurs only when the memory card is inserted and there is a connection to the internet. If there is no internet connection, the camera records video to the memory card. My network storage was automatically displayed in the appropriate settings section . hour / once a day) and to set the file storage time (day / week / month / 3 months). 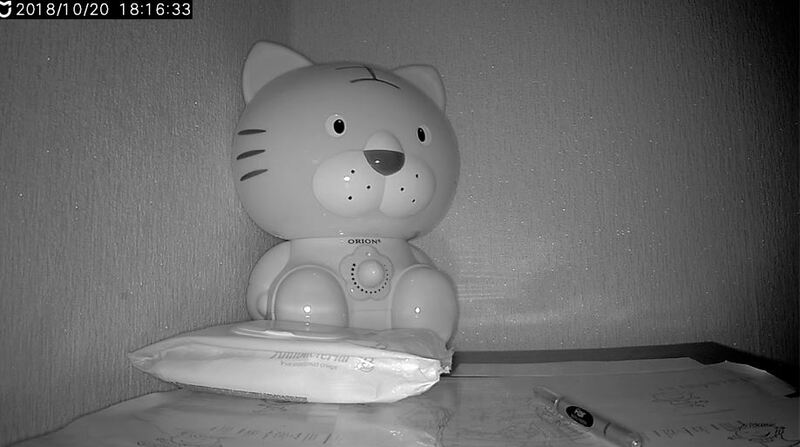 The camera does not contain ONVIF / RSTP support on the factory firmware. Unlike the previous version, the MiJia 1080P version can be characterized by its high video quality .